In contrast to the chaotic landscape of the Palestinian parts of East Jerusalem, West Jerusalem has been meticulously planned and designed to international standards. It is also one of the most memorial-laden cities on earth. There aren't more than a handful of high rises in the city, but the builders of the newer ones are fully aware of what's being built in Houston and Singapore. If highrises are scarce, so are single-family dwellings, because land is very expensive. Instead, this is a city of apartments. A fetish with tradition obliges builders to clad everything with limestone. 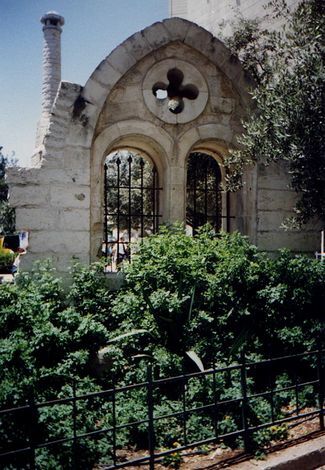 (The policy goes back to the British; the stonework is actually done by West Bank Palestinians.) Streets follow the contour and so are very confusing. Architects meanwhile evoke the old symbols of terraces, gables, and arches to escape the grim reality of one block after another. 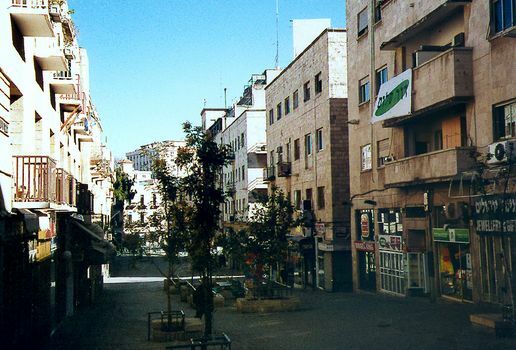 A three-story indoor mall thrives on the south side of the city, but the old core along Jaffa Road does well, too, in part because of the very successful pedestrianized Ben Yehuda Street. This Sabbath photo is highly deceptive, since most days--and nights--the mall is crowded. 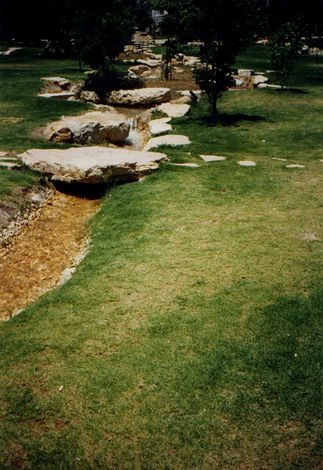 Nearby, an artificial but attractive creek runs through Independence Park, which adjoins the Mamilla Pool and its ruined Muslim graveyard. 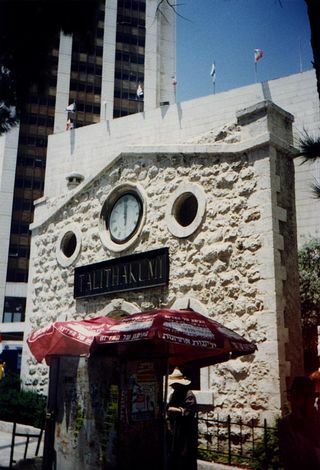 A preserved fragment of the Talitha Kumi School, established in the 19th century by Europeans as a school for Palestinian girls. 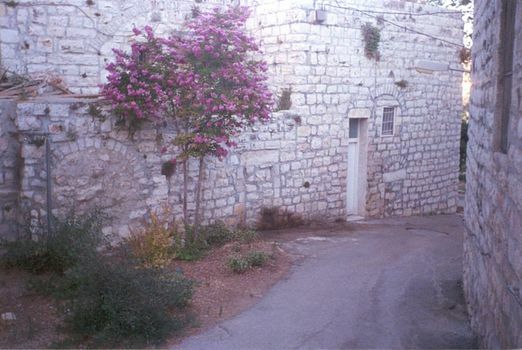 The school still operates from a mountaintop eyrie above Bethlehem. 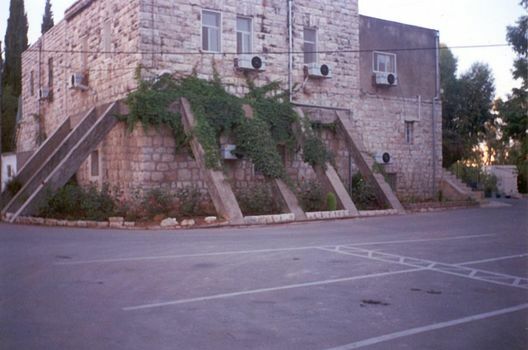 Another fragment of the school, which was built to the characteristically high standards adopted by the Europeans who settled around Jerusalem in the 19th century. 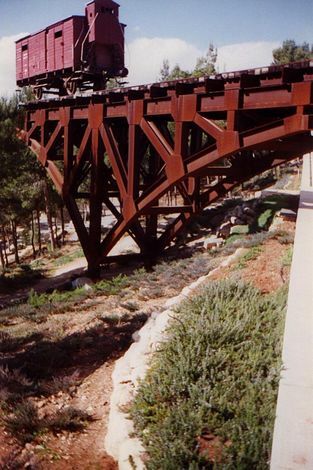 The city is famously surrounded by pine forests planted mostly after 1948 and often deliberately masking abandoned Palestinian terraces. The mood is calm here at the grave of the pianist Artur Rubinstein, even though the underlying story of the land beyond is anything but. The counter-story is told here by Moshe Safdie's powerful memorial to the Jews killed in concentration camps. The bridge stands behind the Holocaust Museum and at first sight evokes a gasp, with the cattle car seemingly on the verge of tumbling to destruction. A peaceful-looking village scene? 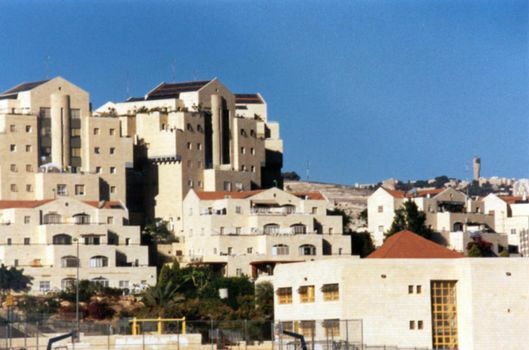 This is a mental hospital on the west side of Jerusalem, near the industrial neighborhood of Kfar Sha'ul. 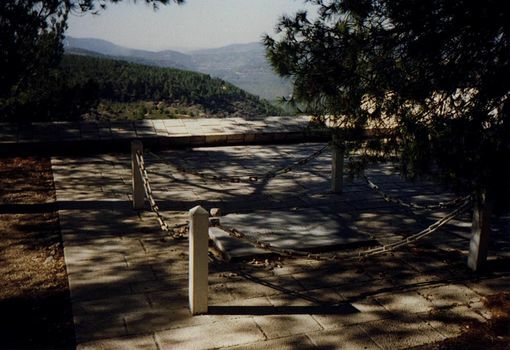 But it's also an example of how the Israelis, so eager to memorialize one past, have assiduously erased another. 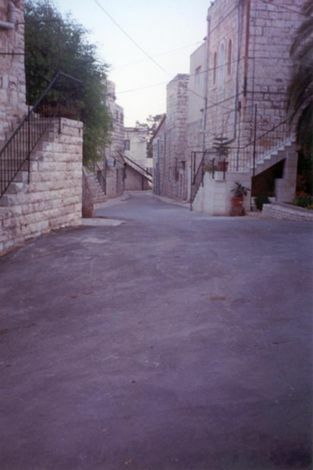 Neatly paved and modernized, the hospital occupies the village of Deir Yassin, many of whose residents were killed in the most infamous Jewish atrocity of the War of Independence. Another shot of the former Deir Yassin, here held together on the cheap. 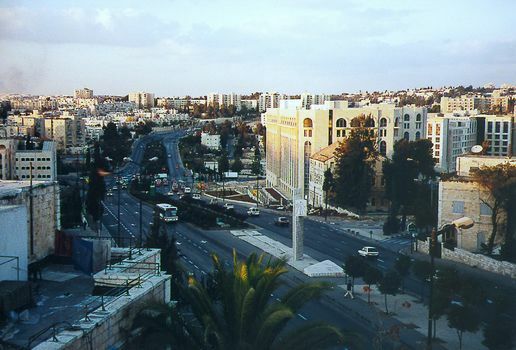 The Nablus Road, emerging from the Damascus Gate on the north side of the Old City, marks part of the line between East and West Jerusalem. 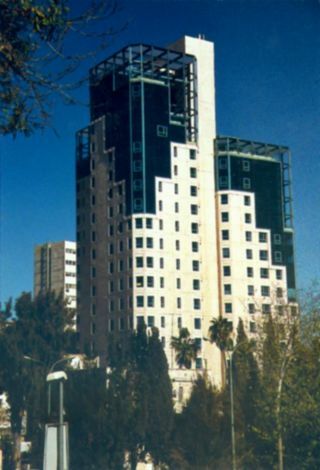 The building in front of the large hotel on the right is a UN office, and it was here, between 1948 and 1967, that foreigners could walk west and enter Israel through the Mandelbaum Gate. The pylon in the median commemorates the old boundary. 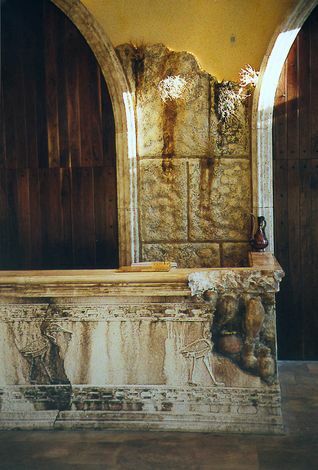 The hotel in the previous picture opened in 1999 and is full of post-modern humor, like this registration counter that looks like an antiquity peeling away to modern materials. What's not so funny is that the Palestinian population of East Jerusalem sees its territory shrinking with each such intrusion.